The Norwegian guitarist has been a fixture on the ECM label since around 1970, and probably few have not heard at least some sampling of his work along that 35+ year trek, but probably even fewer have heard all of the 25 or so albums he has produced along that timeline, this writer among them. Through the years he has consistently brought innovation and new thinking to the jazz idiom, mostly from the rock side, both through his playing style (clearly rock influenced from his early recordings to date), more rock styled drumming, and the use of Mellotron, electronics, and other things that would have been unheard of in jazz, Rypdal has always been on the cutting edge. Joining him here for this set that owes a strong debt to improvisation and the influence of Miles Davis are a number of players, many from the ECM circuit, including Danish trumpeter and frequent collaborator Palle Mikkelborg, drummer Jon Christensen, and keyboardist Ståle Storløkken from the noise-improv group Supersilent. 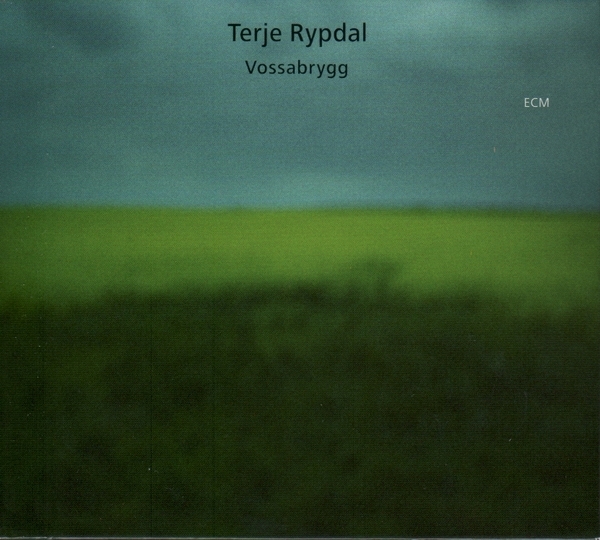 Also making his ECM debut, both as a player and co-writer of several numbers is Terje’s son Marius, contributing electronics, turntables, and samples (the latter derived from Rypdal’s own discography). Standout tracks here are the sidelong opener “Ghostdancing,” and a couple of the longer cuts, “That’s More Like It” and “You’re Making It Personal.” This is another strong entry in Rypdal’s growing body of work.